NBCUniversal, under pressure from an array of Hispanic groups, is severing its business ties to presidential candidate Donald Trump. The Miss USA pageant, scheduled for July 12, will no longer air on the network. Nor will the Miss Universe pageant, scheduled for next January. Both pageants were, until now, jointly owned by NBC and Trump. Contestants from across the country have been preparing for months for the annual event. "At NBC, respect and dignity for all people are cornerstones of our values," the company said in a statement on Monday. "Due to the recent derogatory statements by Donald Trump regarding immigrants, NBCUniversal is ending its business relationship with Mr. Trump." Speaking to reporters after a campaign event in Chicago, Trump said he had enjoyed a "great" relationship with NBC but would not back down on his views about immigration. Trump told CNN correspondent Athena Jones that he may sue NBC. 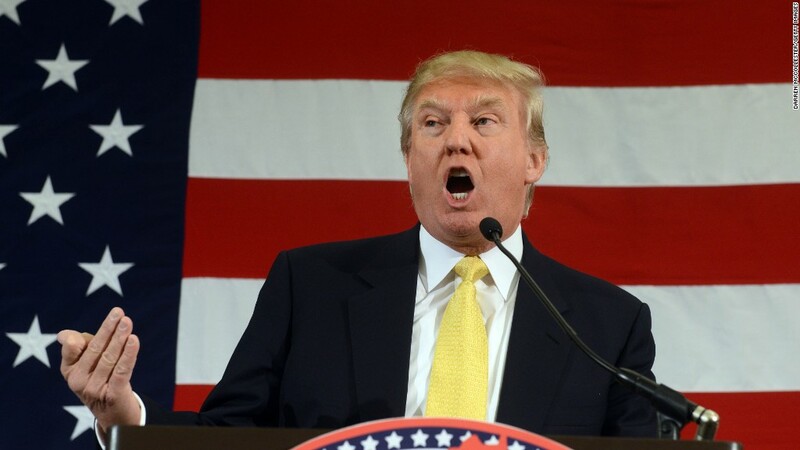 Then, in a statement a few minutes later, he elaborated: "If NBC is so weak and so foolish to not understand the serious illegal immigration problem in the United States, coupled with the horrendous and unfair trade deals we are making with Mexico, then their contract violating closure of Miss Universe/Miss USA will be determined in court." Trump also invoked NBC's suspended anchorman: "They will stand behind lying Brian Williams, but won't stand behind people that tell it like it is, as unpleasant as that may be." NBCUniversal, which is owned by Comcast, had no comment on the lawsuit possibility. It is unclear whether NBC will seek to sell its stake in the Miss Universe Organization to Trump, acquire Trump's stake from him, or seek another buyer. The other major television broadcaster of the pageant, Univision, canceled it last week due to Trump's involvement. Monday's announcement by NBC followed a weekend's worth of legal conversations within the network, given the long-standing contractual relationship with Trump. The joint ownership of the pageants dates back more than a decade. Eventually network executives decided that the split had to happen. Hispanic advocates were calling for action: The Miss USA controversy stemmed from comments Trump made during his presidential campaign announcement two weeks ago. "When Mexico sends its people, they're not sending their best...They're sending people who have lots of problems," Trump said in the speech. "They're bringing drugs, they're bringing crime, they're rapists, and some, I assume, are good people." These remarks caused a firestorm and widespread condemnation, particularly in the Hispanic community. Univision, the biggest Spanish-language broadcaster in the United States, decided to end a five-year contract to air Miss USA and Miss Universe after only five months. NBC was in a more complicated position because it jointly owned the pageants. The network initially responded with a statement saying that Trump's opinions "do not represent those of NBC, and we do not agree with his positions on a number of issues, including his recent comments on immigration." But that attempt to distance the network from Trump did not satisfy some Hispanic leaders. Over the weekend, a large number of Hispanic advocacy organizations urged NBC to follow Univision's lead. And on Monday the National Association of Hispanic Journalists added its name to the list. Notably, the association is led by Mekahlo Medina, a reporter for NBC's local station in southern California. Medina wrote, "[We] encourage NBC to acquire 100% ownership of the Miss USA and Miss Universe pageants and air those events without the shadow of such mistrust and fear Mr. Trump has created." Petition gained more than 200,000 backers: Additionally, more than 215,000 people have signed a Change.org petition demanding NBC dump Trump. The petition, created by Guillermo Castañeda Jr., called on the Peacock network to end the pageant airings. 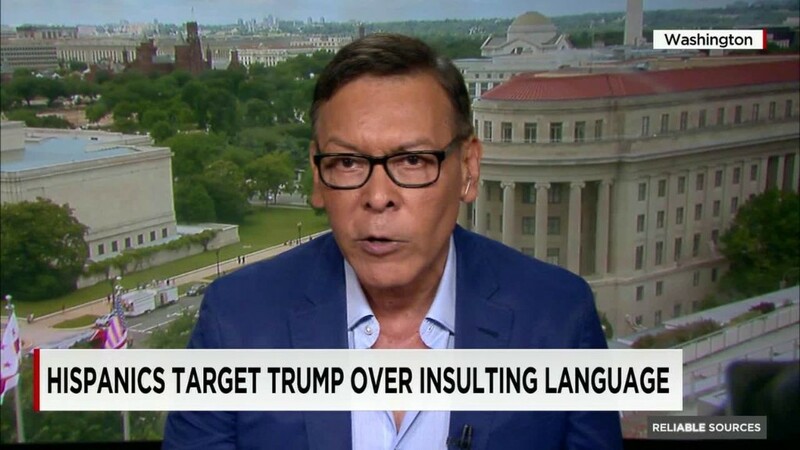 Felix Sanchez, the chairman of the National Hispanic Foundation for the Arts, said in an interview on Sunday that NBC's silence on the matter was getting deafening. NBC attorneys, however, needed time to renew the company's contracts with Trump before pulling the plug on Monday. After NBC's announcement on Monday, Sanchez said "the decision to back away from Trump happened because of social media." "The depth of the Trump insult was felt by U.S. Latinos of every stripe from shore to shore," Sanchez told CNNMoney in an email message. "Those that had a voice and could have spoken up for Latinos didn't, so the community banded together and made its collective voice heard." Trump is also the face of NBC's "The Apprentice." Following his presidential announcement, NBC said it would "re-evaluate" Trump's role on the reality show. On Monday, the network indicated that it wants to keep "Celebrity Apprentice" going, but without Trump as the host. Production on the next season of the reality show is slated to begin in the fall. 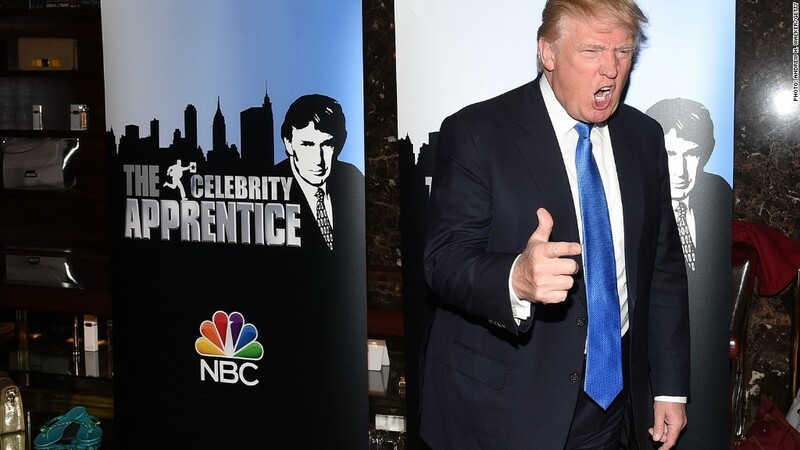 NBC's statement said "'Celebrity Apprentice' is licensed from Mark Burnett's United Artists Media Group and that relationship will continue." CNN's Athena Jones, Betsy Klein and Tom Kludt contributed reporting.